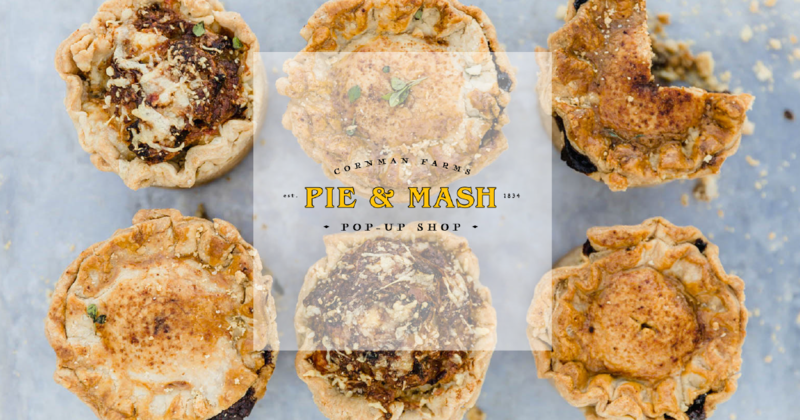 Inspired by British owner Kieron Hales’ homeland, Zingerman’s Cornman Farms will transform its farmhouse into a traditional English Pie & Mash shop every Sunday from March 3 to April 7! This hearty, age-old comfort food features a savory handmade pie with mashed potatoes, seasonal veggies and Chef Kieron’s creamy and indulgent Devon Fudge, a recipe from his hometown. We will be making a limited number of pies each week, so pre-ordering is encouraged to guarantee your pie! All pre-orders will be fulfilled and walk-ins will be honored on a first-come first serve-basis. Guest are welcome to takeout or dine-in at one of our farmhouse tables!